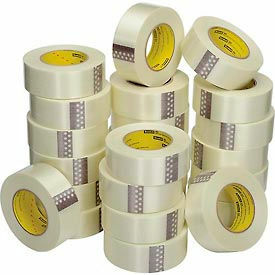 3M™ Double Coated Urethane Foam Tapes Are Used In A Variety Of Janitorial And Maintenance Environments. 3M™ double coated urethane foam tapes are made of high quality materials for strength and durability. 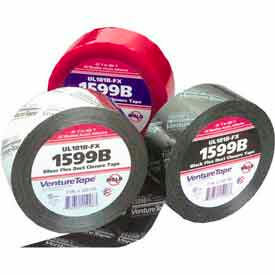 Tapes provide superior bonding strength, fill gaps, and bond irregular surfaces for application versatility. 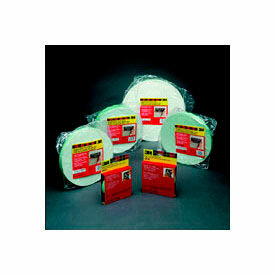 Adhesives feature high temperature resistance and distribute stress evenly over bonded areas. Accommodates hand or dispenser applications. Colors are Black, Neutral, Off White, and White. Dimensions vary per model. High-performance Aluminum and Filament tape are used for long-term bonding. 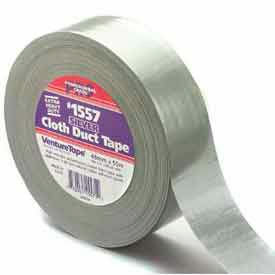 Aluminum Foil Tape has a foil backing that is used for heat and light reflection and protects against high temperatures. 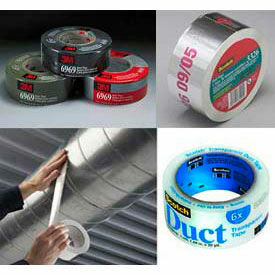 This reflective adhesive tape provides maximum sealing to prevent moisture, dust, flames and certain chemicals. The polypropylene backing on this Filament Tape is reinforced with glass yarn to provide heavy-duty closure, reinforcing and banding for packaging.